Downtown Racine is decked out for the holidays, and it’s snowing, so we are getting in the spirit with lots of inspiration and gift ideas. 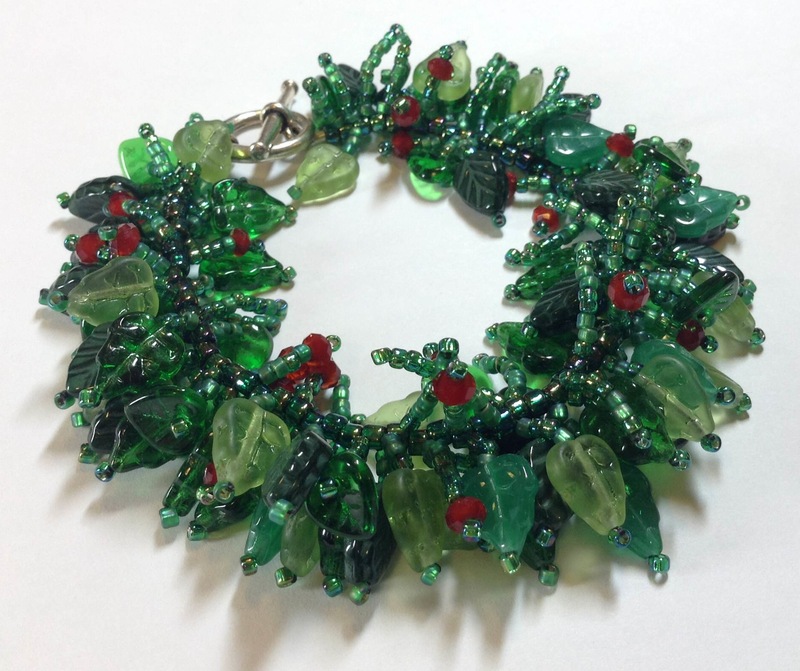 We have ideas for all skill levels, whether it’s a simple but elegant memory wire bracelet with peanut beads and crystals, Christmas tree earrings – already made, or kits to make your own – or our fun Holly Berry Bracelet pattern. Something for everyone! 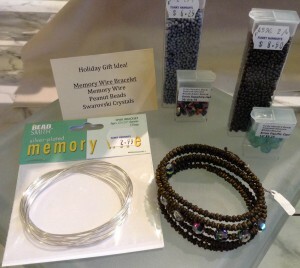 Memory wire bracelets! 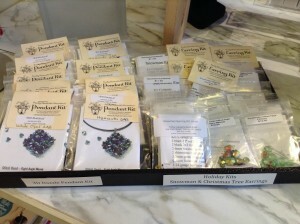 Fun and easy! 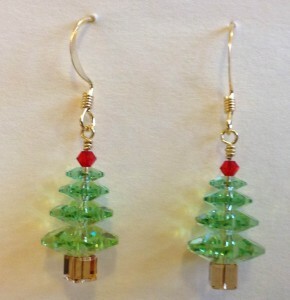 Christmas tree earrings – ready to wear! 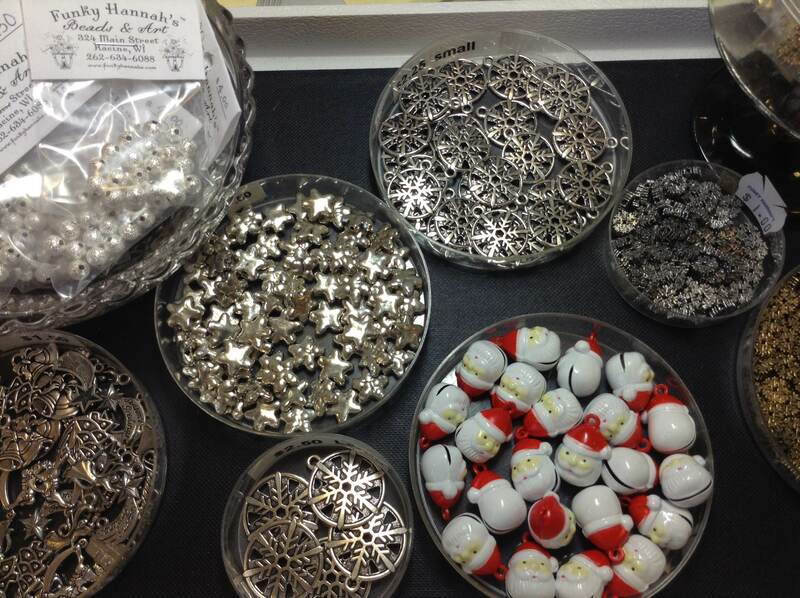 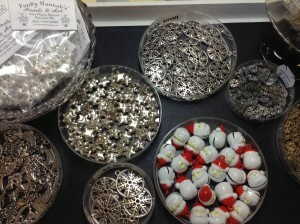 Snowflakes, Santas, Stars and Charms! Holly Berry Bracelet – Pattern available!! 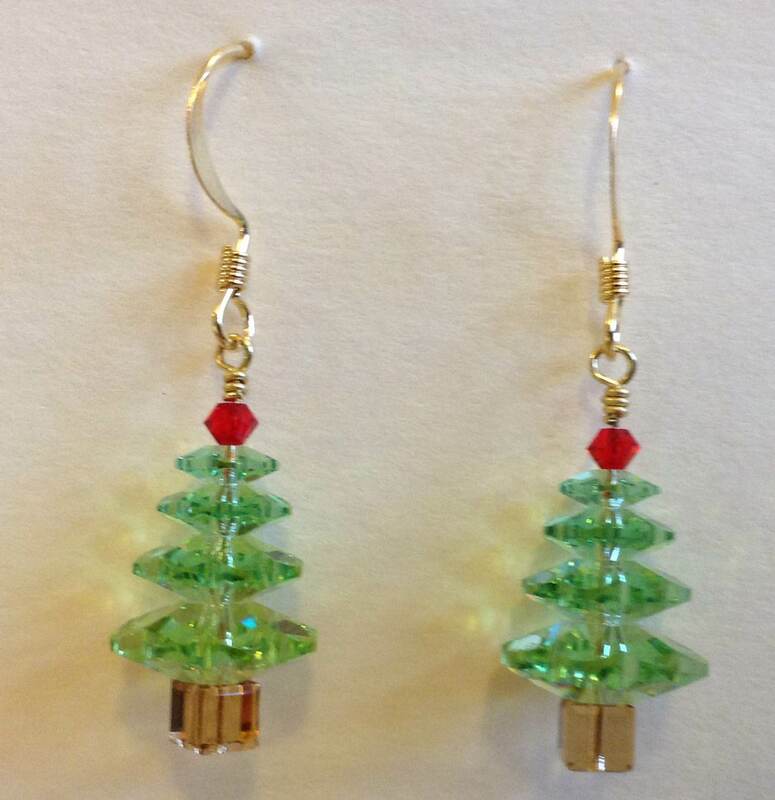 Stop in and see us for your holiday inspiration!